EarthCast Technologies combines high-resolution global observations with cutting-edge prediction technologies to produce accurate environmental information for every location on the globe. We work closely with our clients to develop innovative solutions that address their biggest challenges. 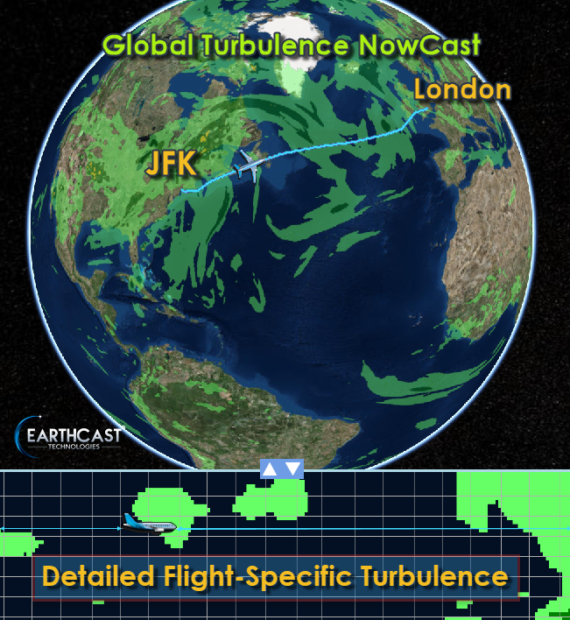 EarthCast is the ultimate solution for aviation weather and flight hazard identification. Our advanced systems provide detailed information for numerous flight hazards at the spatial and temporal scales required for real-time mission-critical flight operations. We are experts in advanced data integration and Numerical Weather Prediction (NWP) techniques and we provide real-time rapidly updating environmental information products and data services covering every location on the globe and through the entire depth of the atmosphere. We customize solutions based on client requirements providing full integration into existing systems as well as custom system development. EarthCast delivers the most technically advanced products available anywhere, thru clear and intuitive products and reliable data services. We work closely with clients to develop solutions and ensure successful integration into existing platforms. From cutting-edge turbulence NowCasts to global cloud top heights, winds, icing, and global convection products, we deliver solutions for your biggest challenges. EarthCast utilizes global satellite observations with cutting-edge prediction technology to produce the most accurate and advanced forecasts available anywhere. Our HyperLocal Resolution products provide extremely detailed information about weather, water and land conditions in near real time. EarthCast out performs all others because we continuously update our advanced prediction systems with the latest observations - providing the most timely and accurate forecasts available anywhere. Imagine what having the most accurate and timely predictions can do for you. By tapping into rapidly updating global satellite observations, EarthCast monitors the Earth in near real time providing critical information even in the most remote areas of the planet. Our advanced technologies allow us to provide critical environmental information where land-based sensors such as radar networks do not exist. Whether over the open ocean - or the most isolated land - EarthCast provides global monitoring and prediction of numerous hazards and environmental conditions. We monitor and predict the complete Earth system, not just the weather. It is this total approach to understanding and monitoring the details of our planet's environment that sets EarthCast apart from other government and commercial providers of weather information. The end result - we produce the most advanced and accurate forecast available with highly detailed and extremely accurate monitoring and prediction products for the soil, oceans and the atmosphere. We work closely with your team to understand your environmental information needs, allowing us to fully utilize the capabilities of the EarthCast™ system to support your operations. 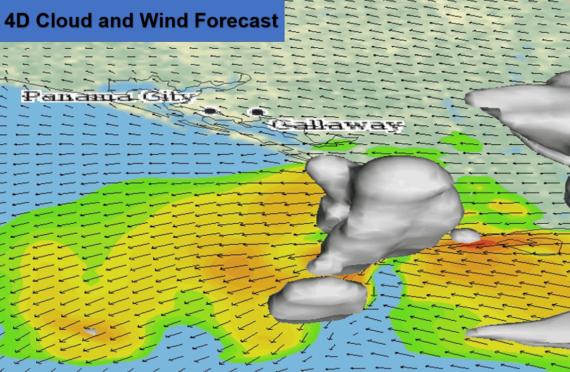 From soil conditions to winds aloft, we have the information you need to make confident decisions, everyday. Our team will develop and rigorously test a system that supports your unique needs. From daily weather impact reports, to the delivery of global forecast products, we strive for mission-critical operations at all times. We work with you ensuring full integration into your operations with expert training and support.